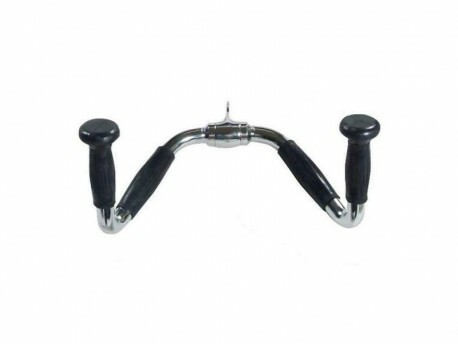 Do various close-grip exercises such as rows and pulldowns with this multi-exercise bar. Center swivel. Chrome plated finish. The rubber grips provide a comfortable grip that your hands won't slip on. 16" long.